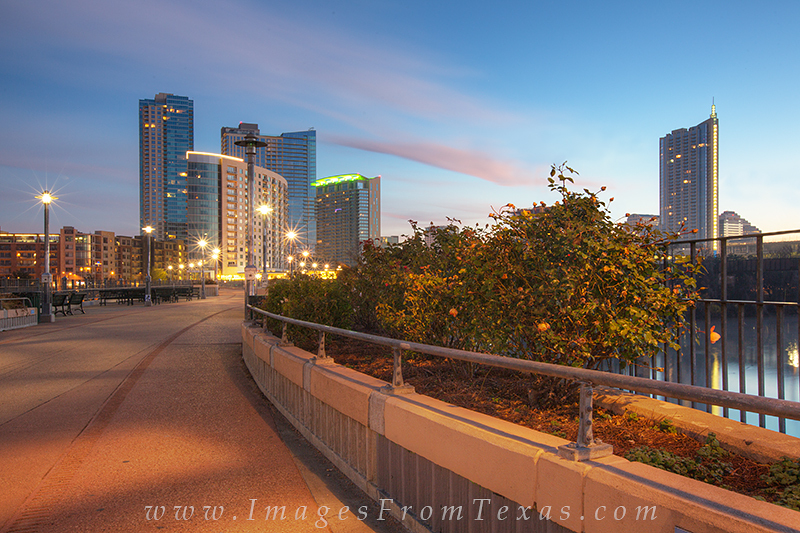 This bridge in downtown Austin, Texas, is only for bikers, joggers and pedestrians enjoying a morning or evening stroll. It crosses over Lady Bird Lake and connects trails around Zilker Park. In the distance the skyline rising into the January morning sky. Photo © copyright by Rob Greebon.